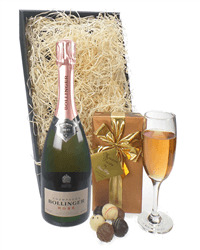 A sumptuous gift of Bollinger Champagne and Belgium chocolates is a delicious gift. 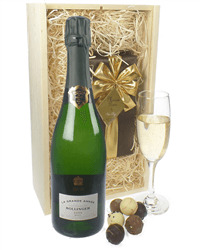 Our selection of Bollinger Champagne and Belgium chocolates gift box includes an assorted box of Belgium chocolates. 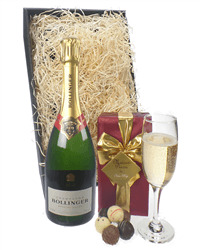 Simply choose which Bollinger Champagne you would like to send with them and we will deliver your gift, beautifully presented with your personal message.